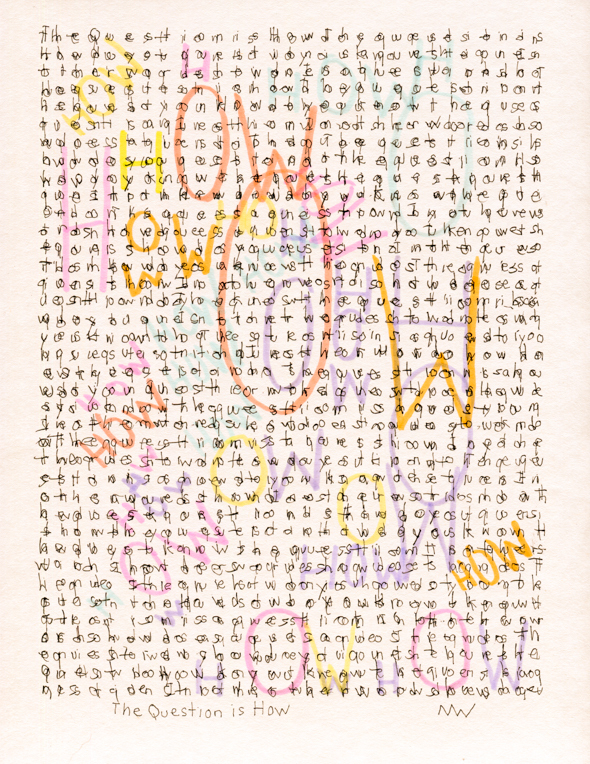 This is the fourth in a series of “Who What Where Why When How” poems and art in my collaboration with poet Laurel Blossom. The question is how do you question the question. How do you know the question is a question. In other words, how does a question do. 15 Aug	This entry was published on August 15, 2017 at 6:54 pm. It’s filed under Artwork, Drawing and tagged Drawing, Ink, Ink on Paper, Nancy Wolitzer, Text/Art. Bookmark the permalink. Follow any comments here with the RSS feed for this post. Newer: Who Is the Question?